In a perfect world I'd have the time to make tomato soup from scratch at a moment's notice. However, in the world of working parents and tight schedules, I sometimes have to rely on frozen meals & canned foods. Luckily, I can always count on Amy's products. 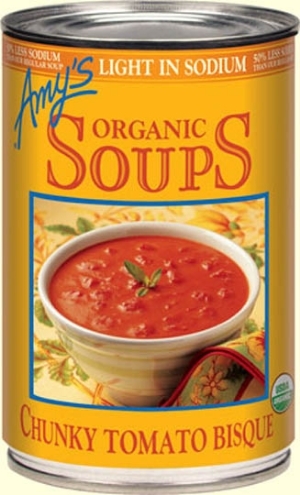 Amy's is a family-run business, with humble roots, that is passionate about organic and non-GMO food. Organic tomato puree, organic diced tomatoes, filtered water, organic cream, organic cane sugar, organic onions, sea salt, organic black pepper. Contains milk. The nutrition label isn't scary either! What I like to do, to give it a little extra love, is to heat the soup as directed. (Straight from the can - no need to add water.) Then, when I serve the soup into bowls, I shave the tiniest amount of Parmesan cheese on top and finish with a sprinkle of fresh basil from my garden. Typically, I serve this to the family with either a fresh romaine salad or my Grilled Cheese w/a Healthy Twist sandwich. 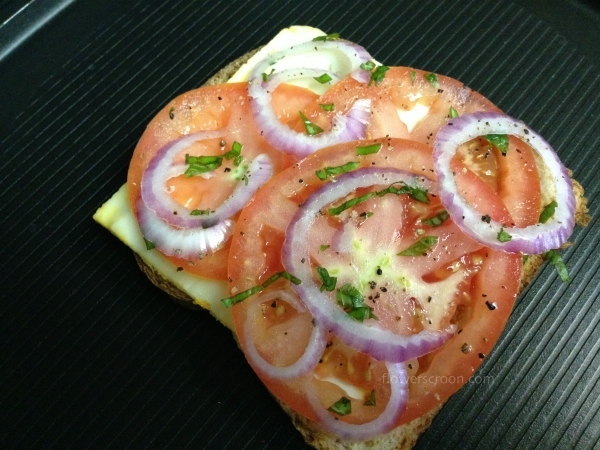 You can find my healthy grilled cheese recipe featured here. If you're really hungry, eat all three! Or, if you're like me, have the soup with a salad and a protein shake. I'm Hosting a Disney Side @Home Celebration!